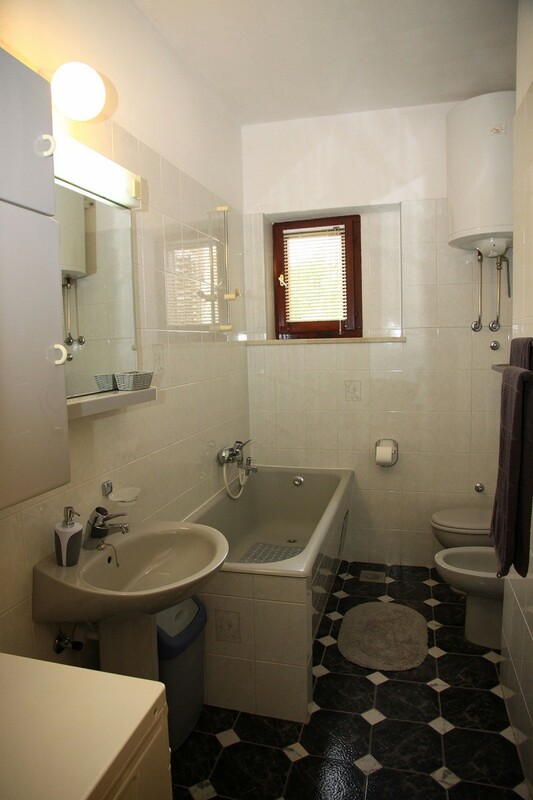 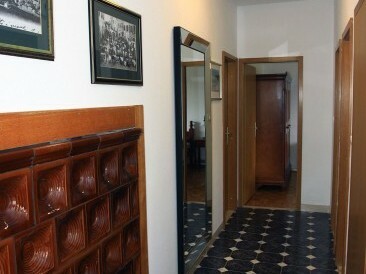 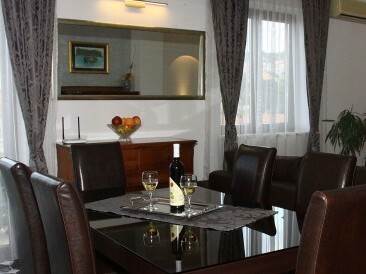 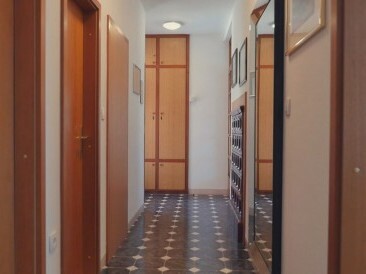 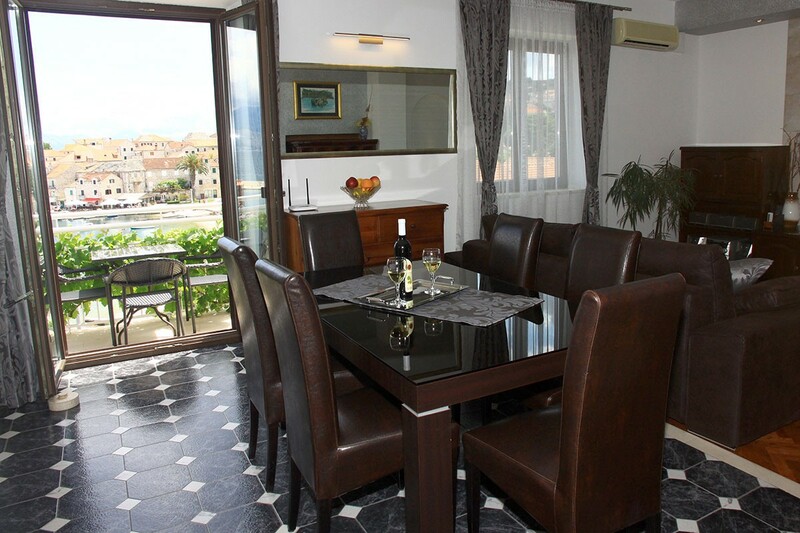 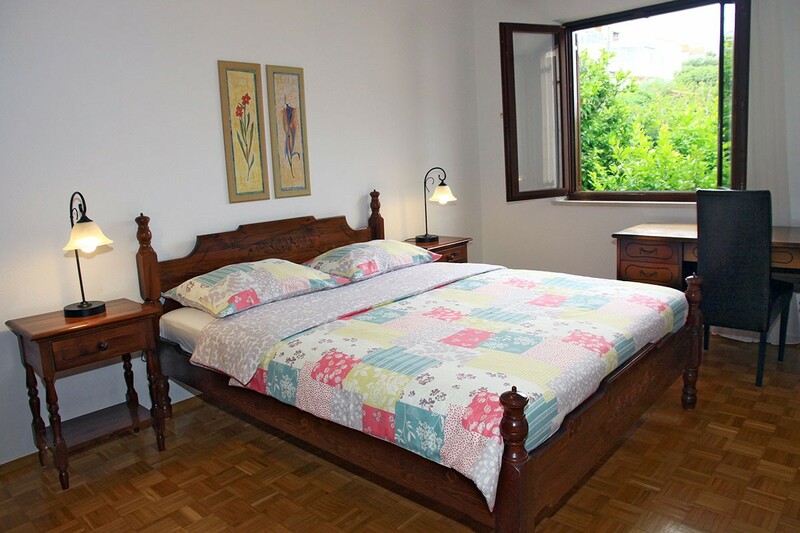 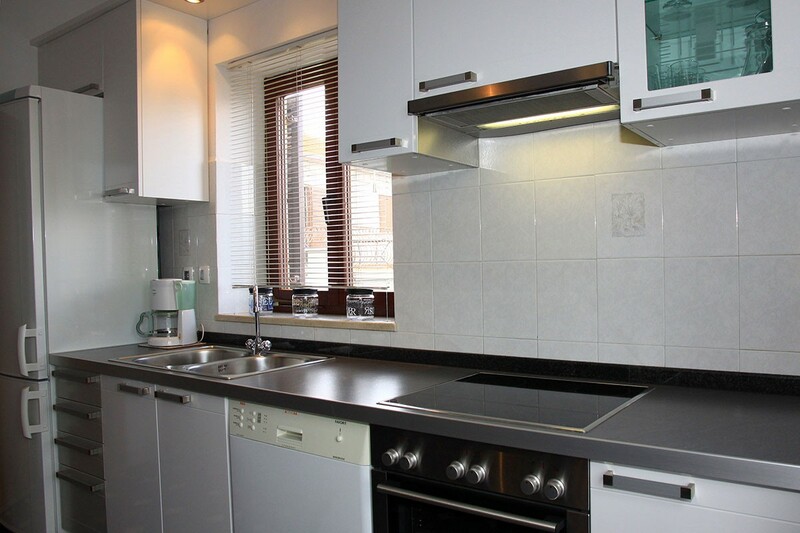 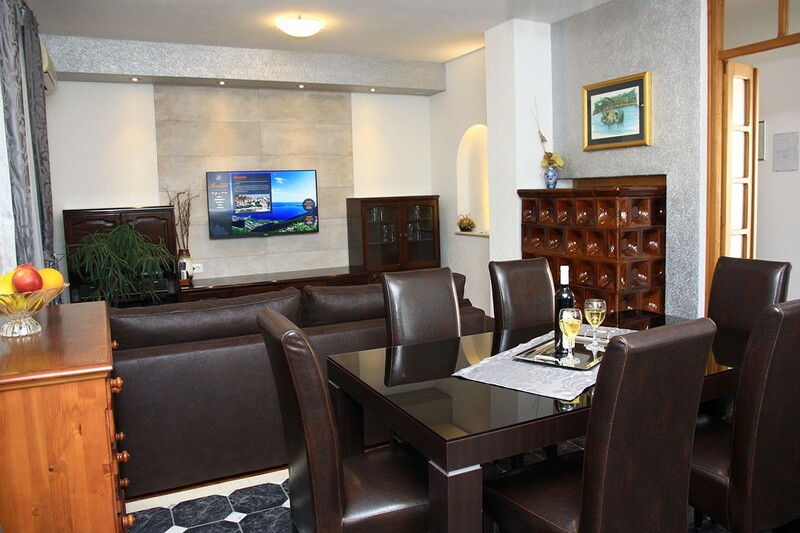 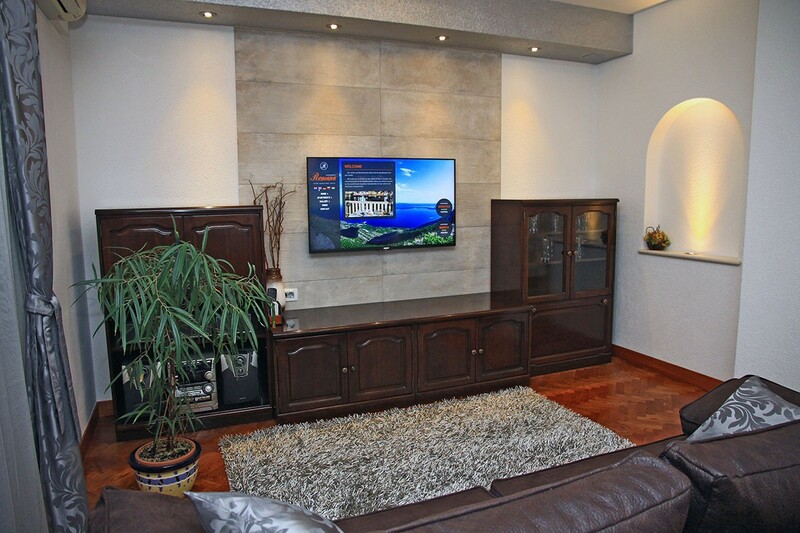 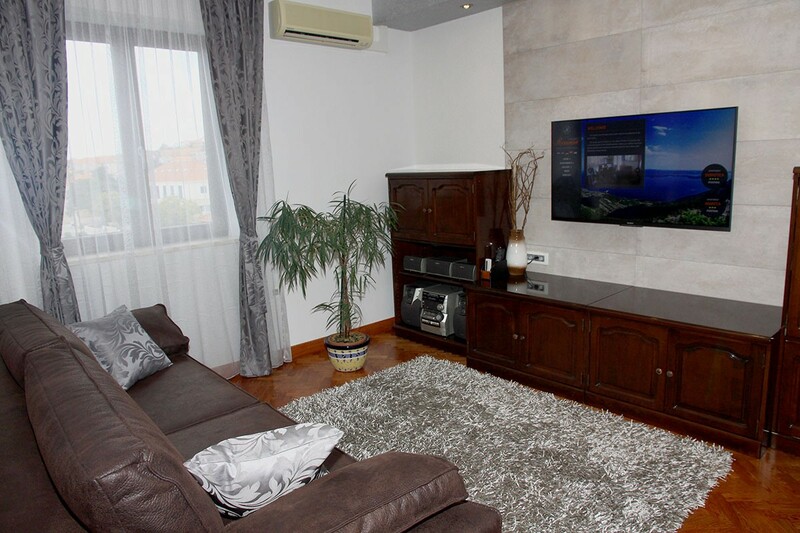 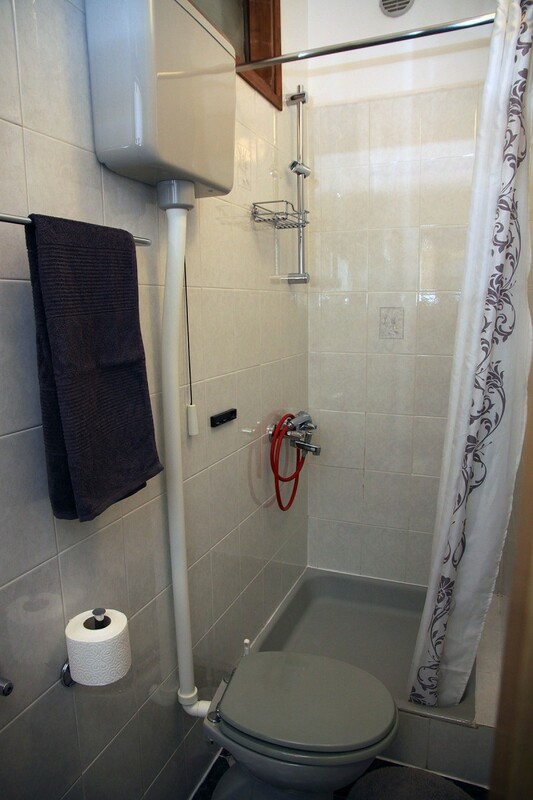 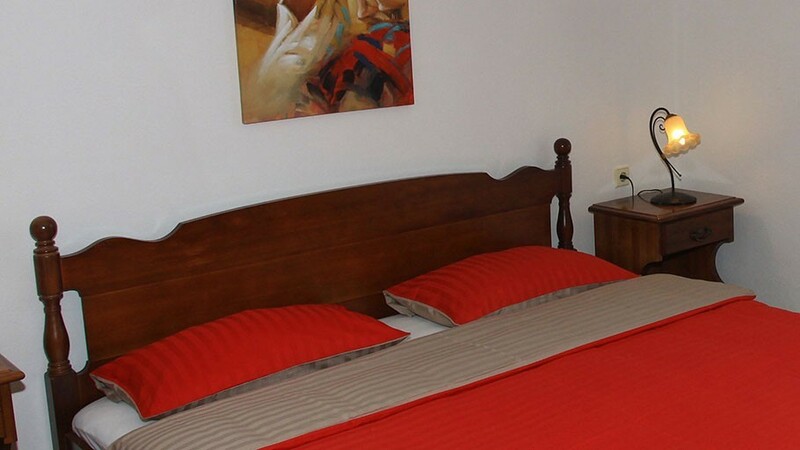 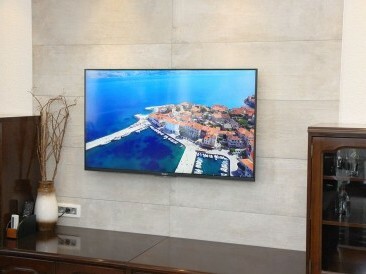 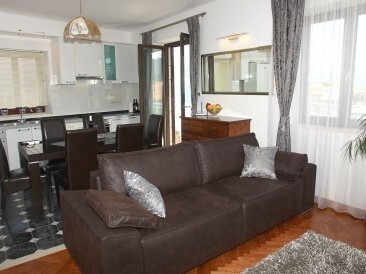 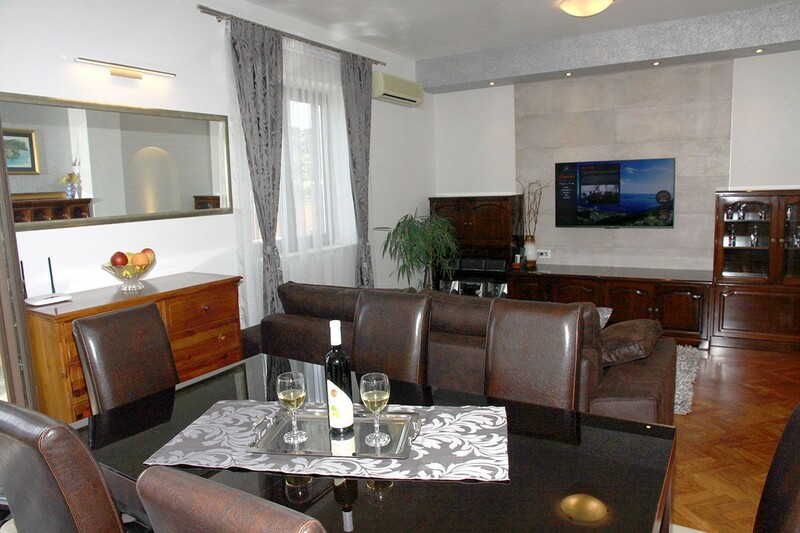 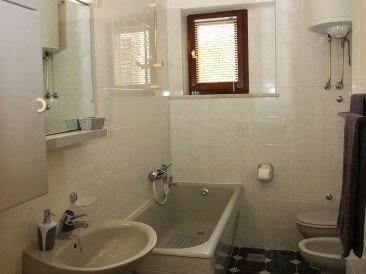 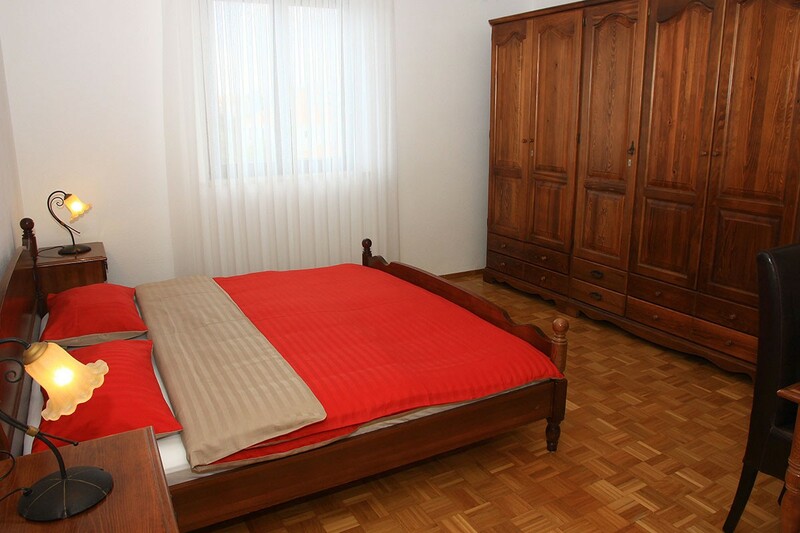 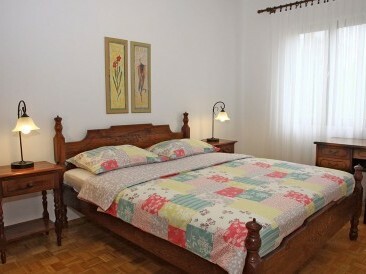 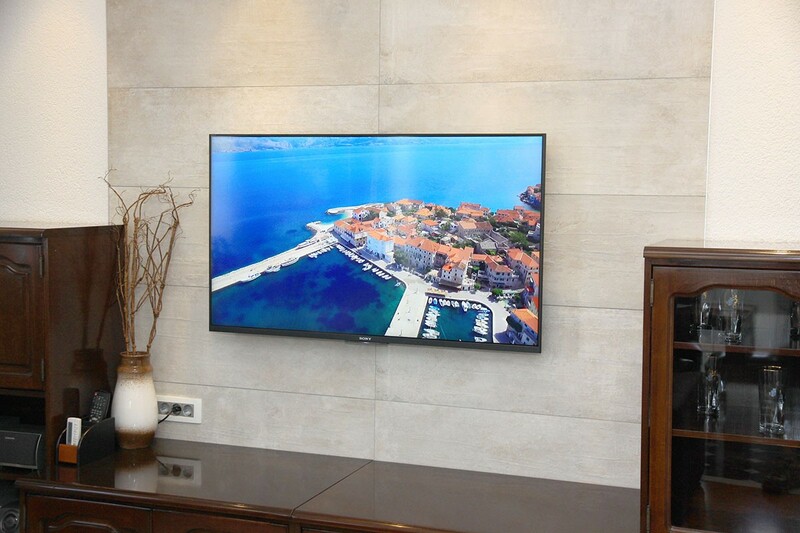 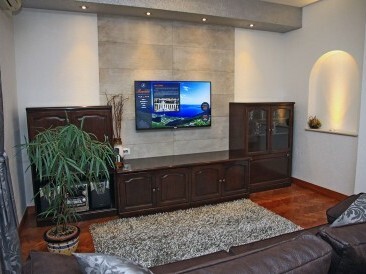 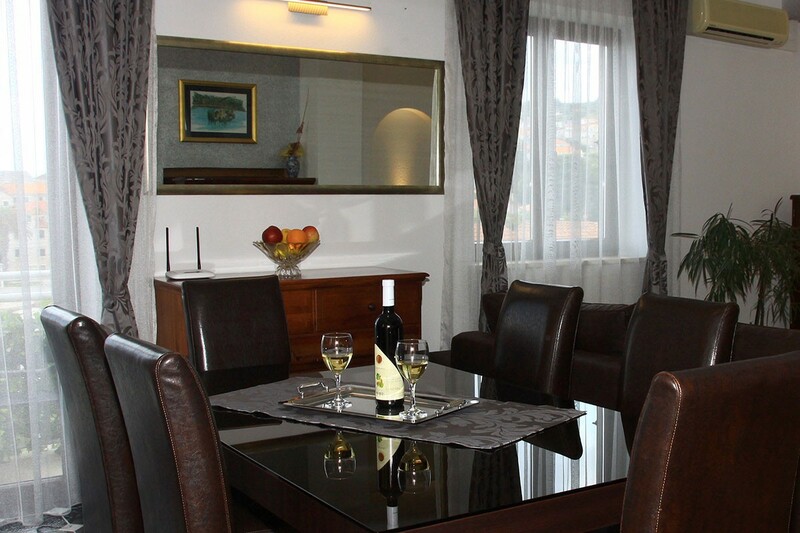 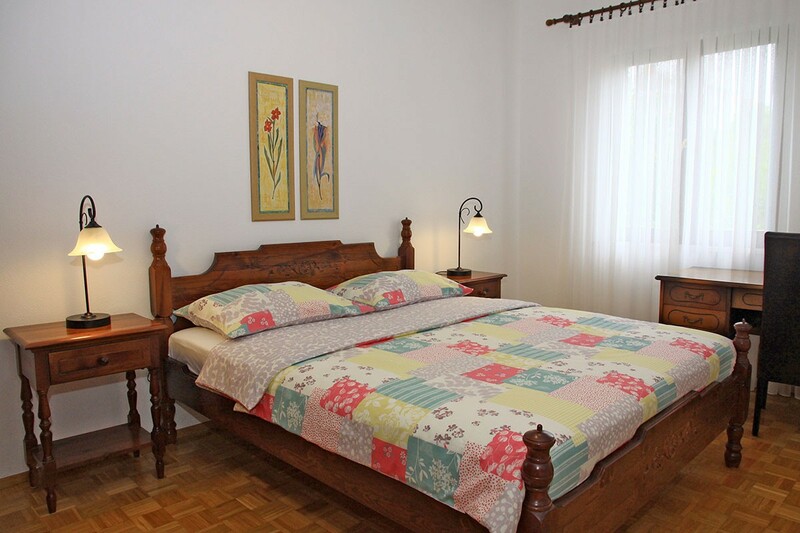 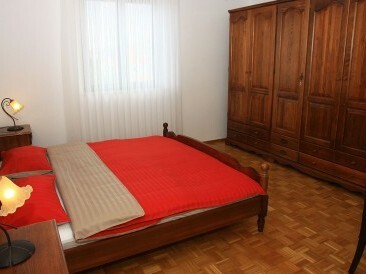 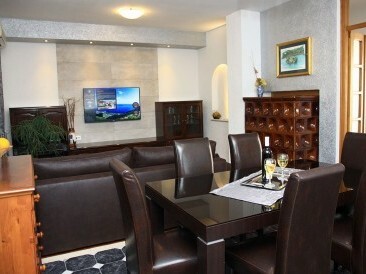 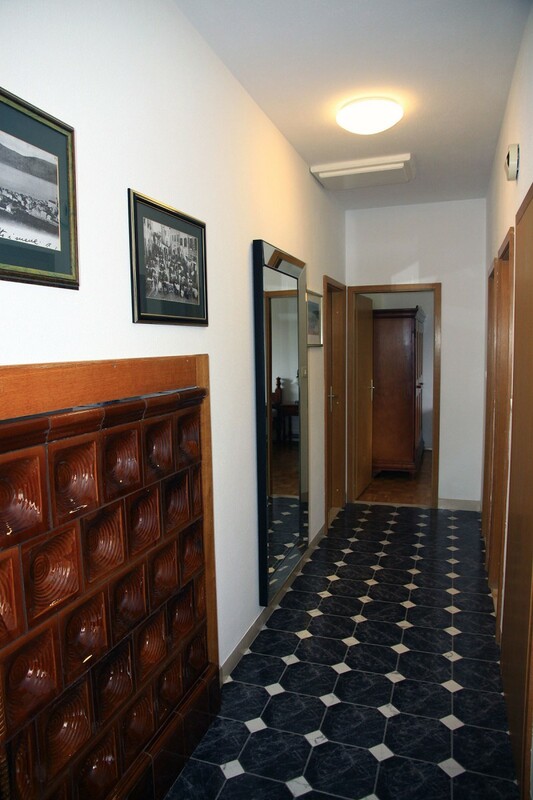 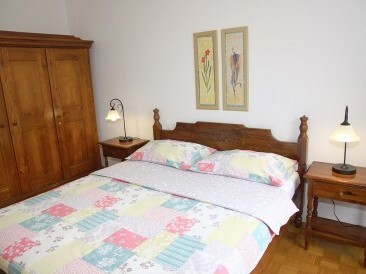 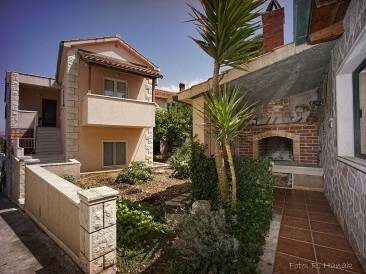 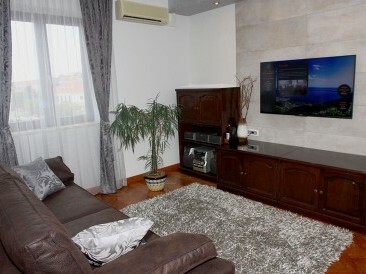 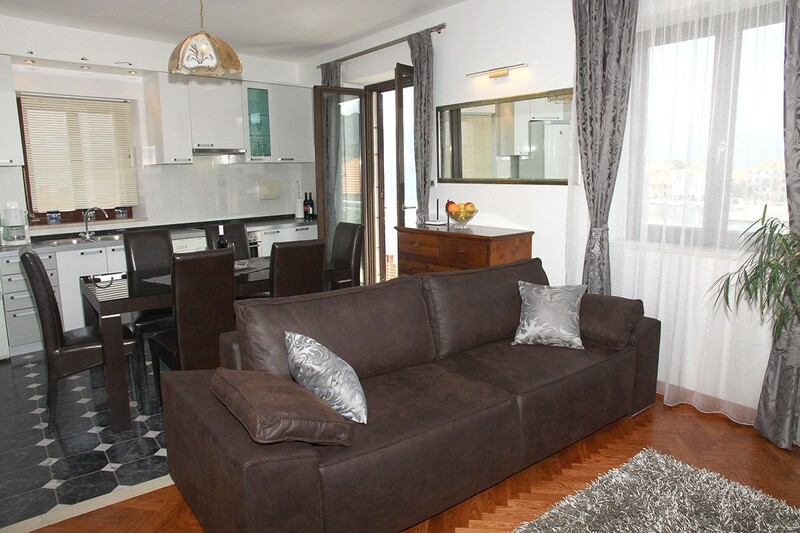 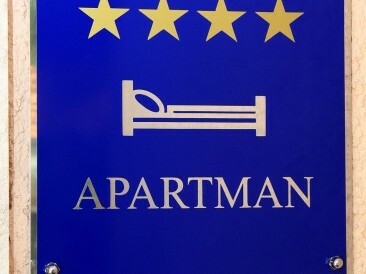 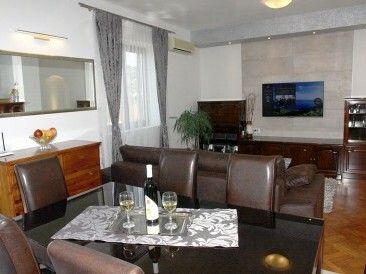 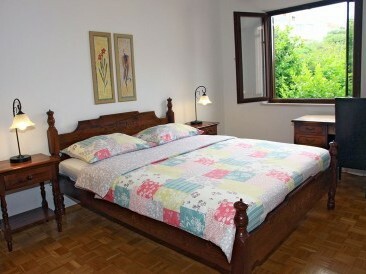 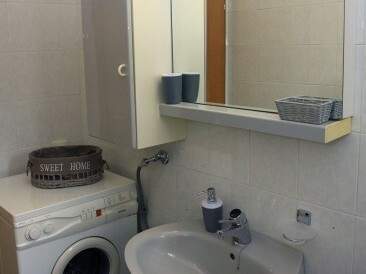 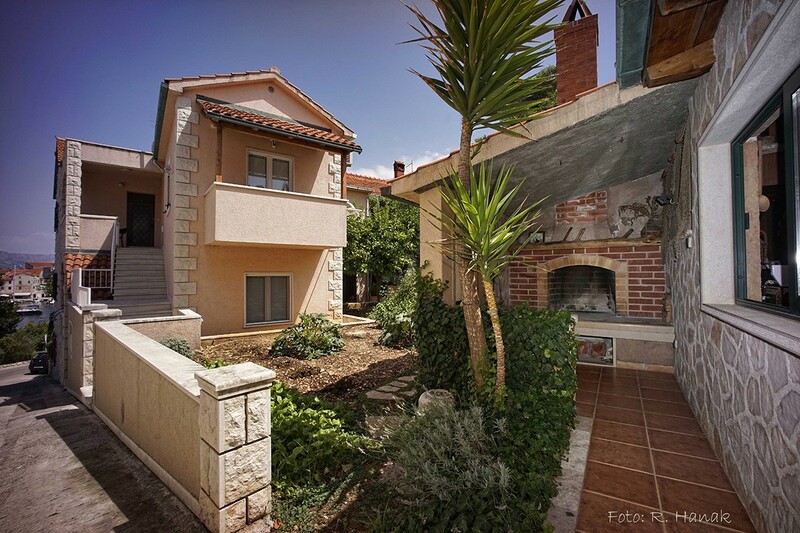 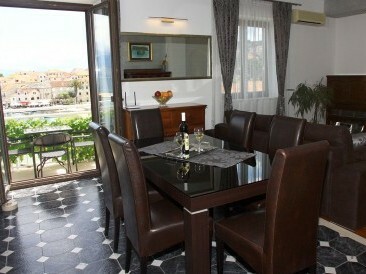 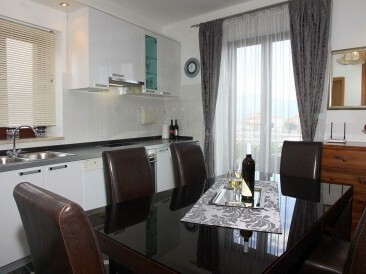 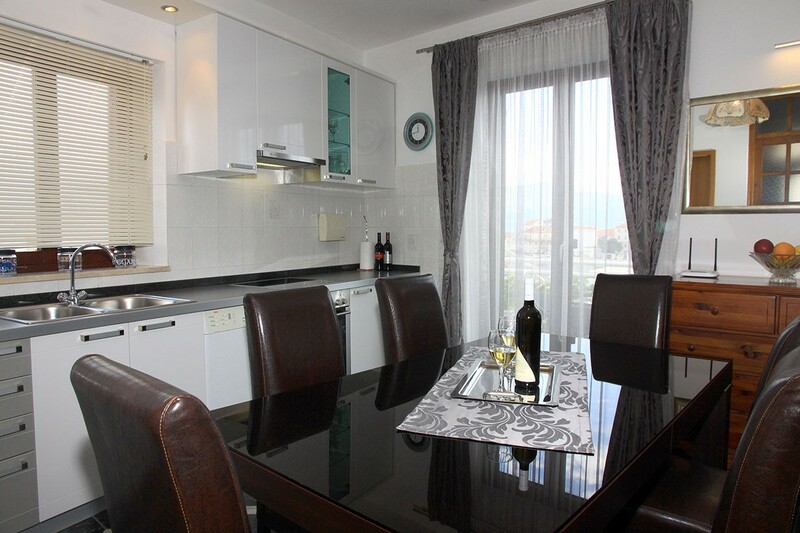 On the upper floor there is comfortable, nicely furnished, air conditioned apartment. 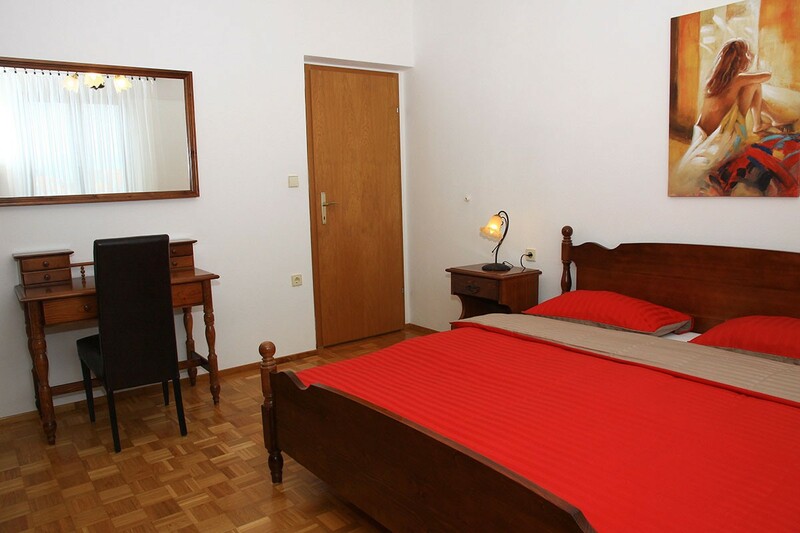 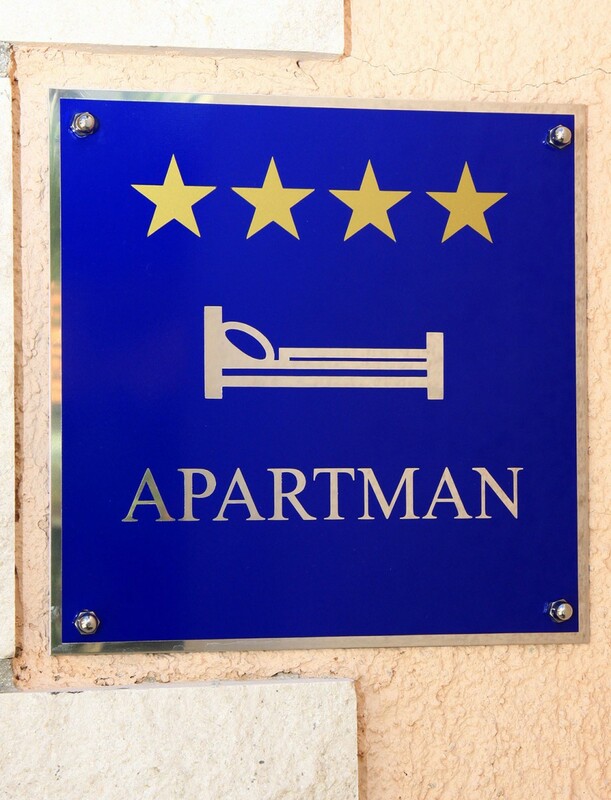 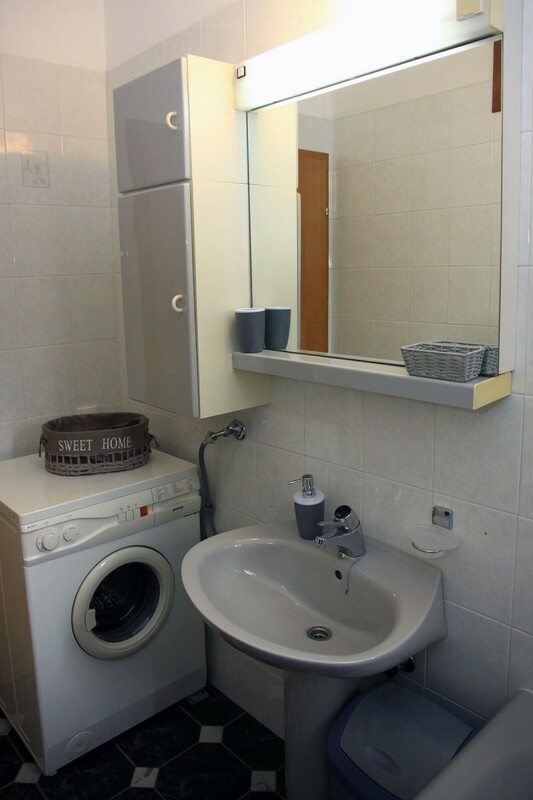 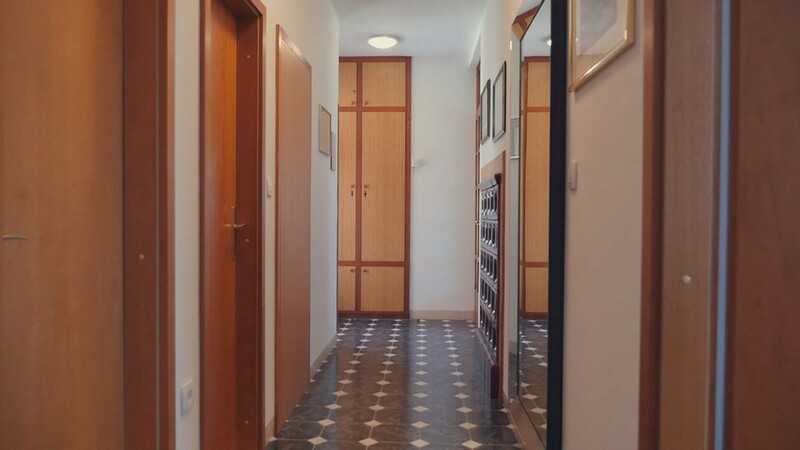 The apartment has two big bedrooms with double beds (one room enjoying sea view, another one enjoying garden view), two bathrooms, a kitchen with dining room, living room (with extra bed) and a balcony. 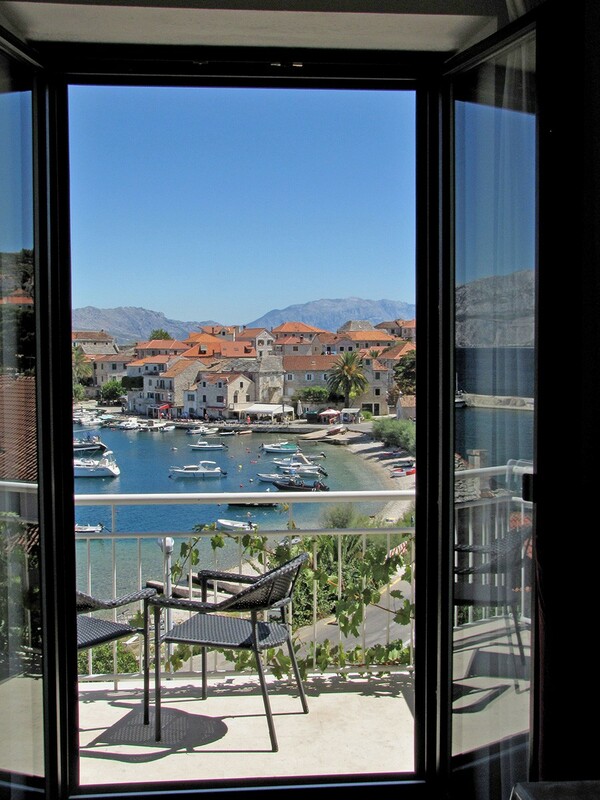 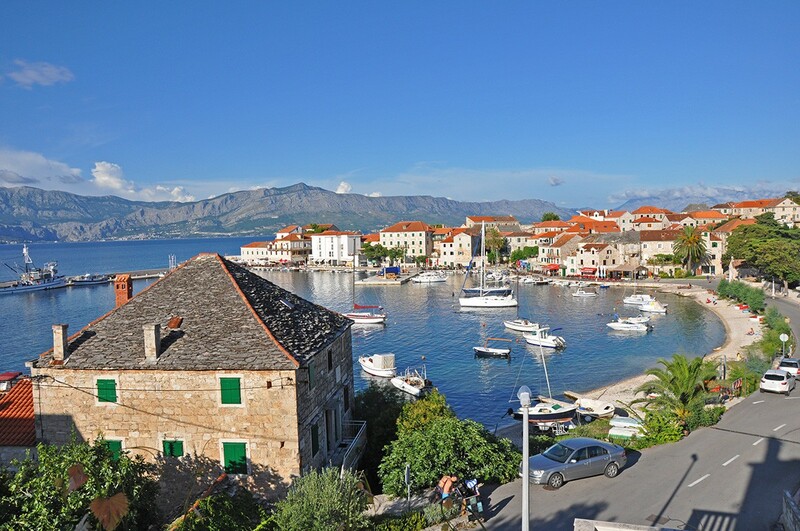 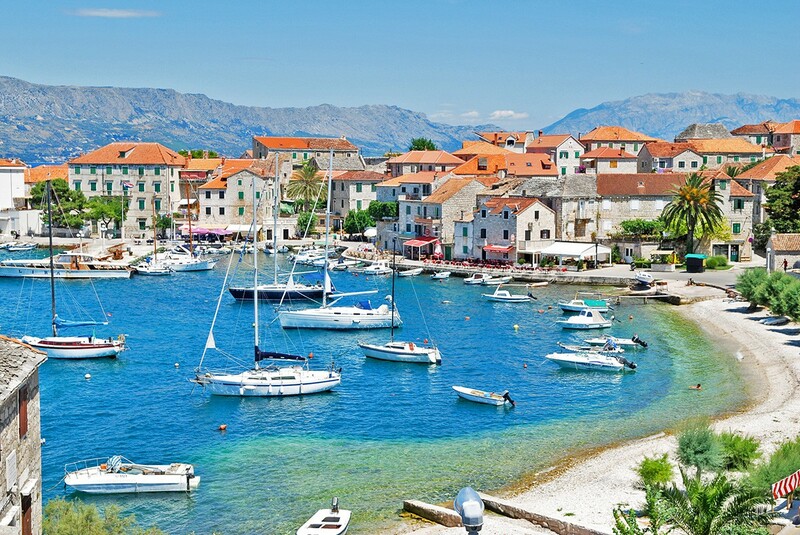 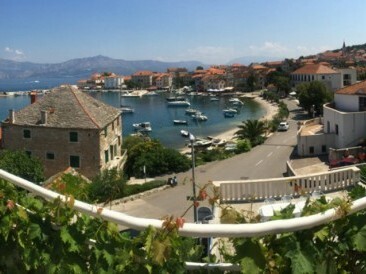 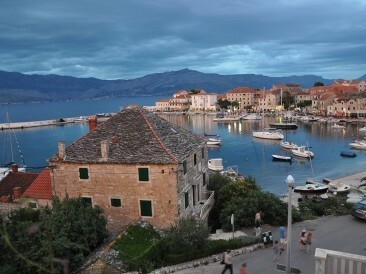 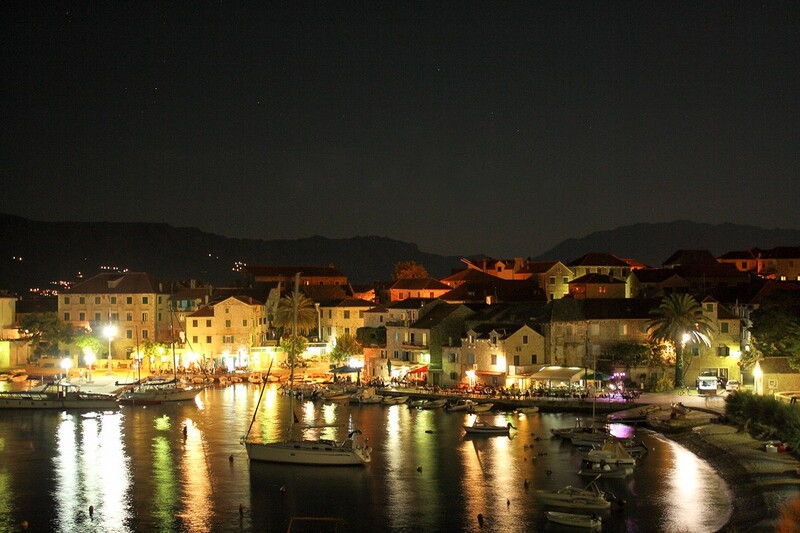 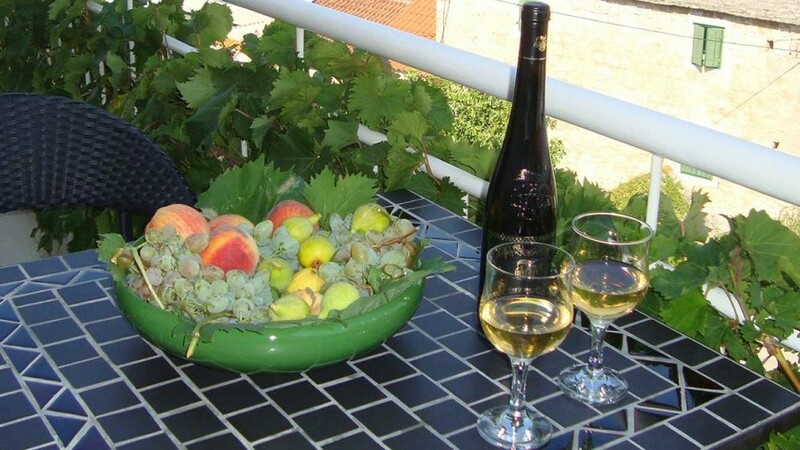 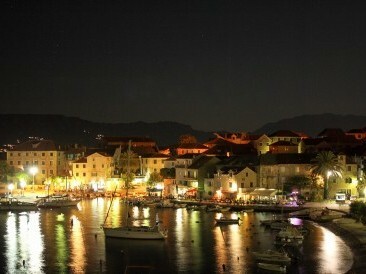 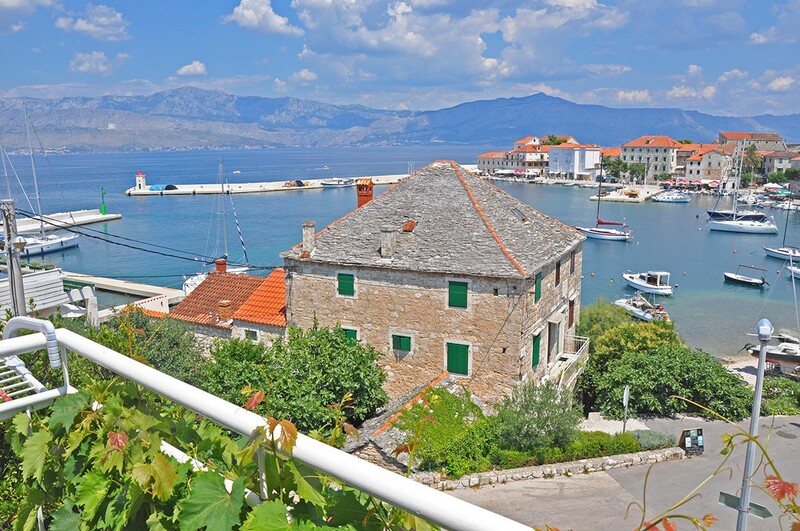 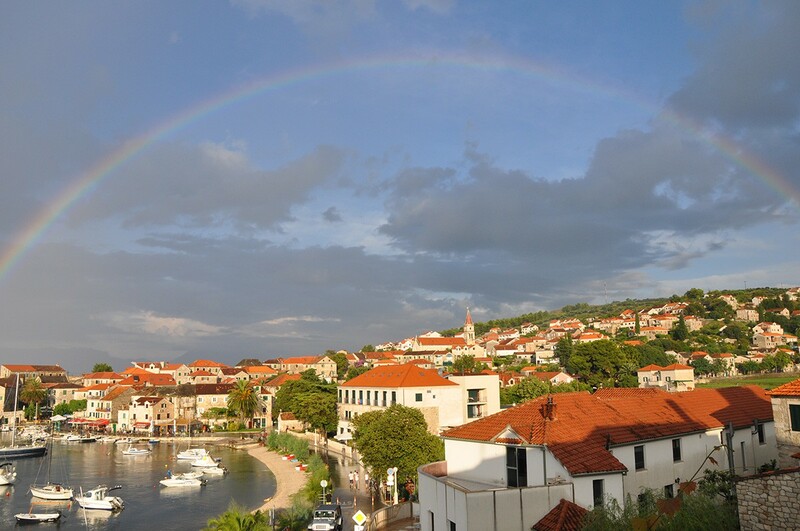 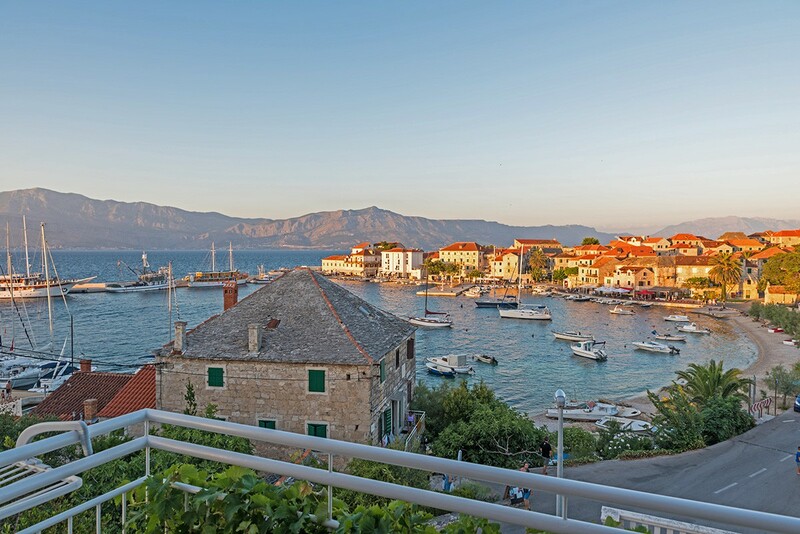 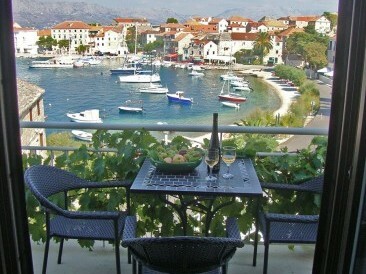 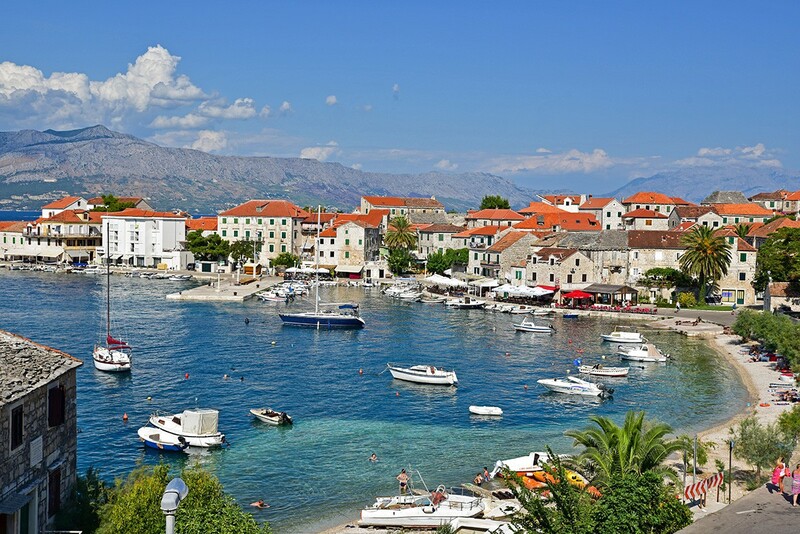 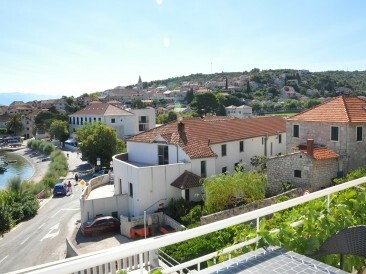 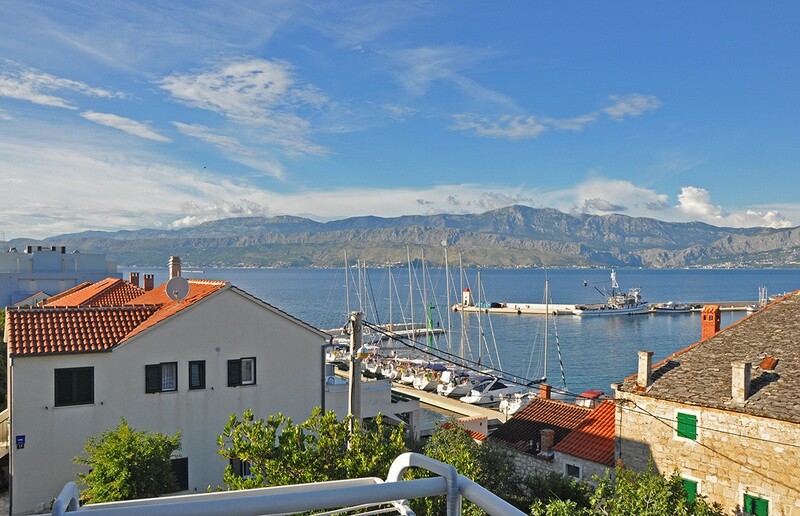 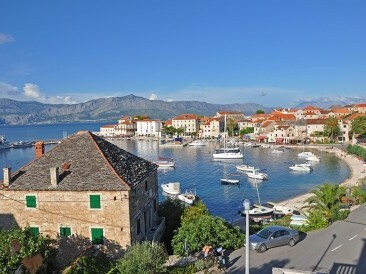 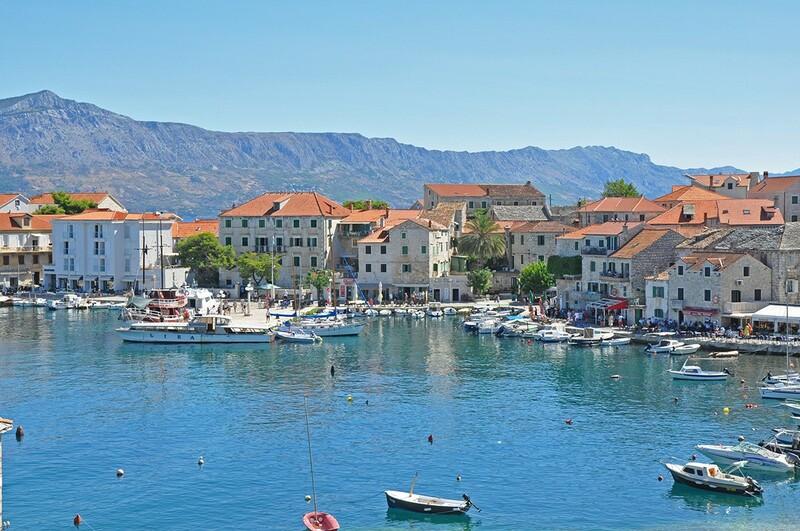 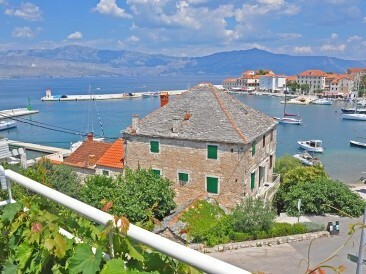 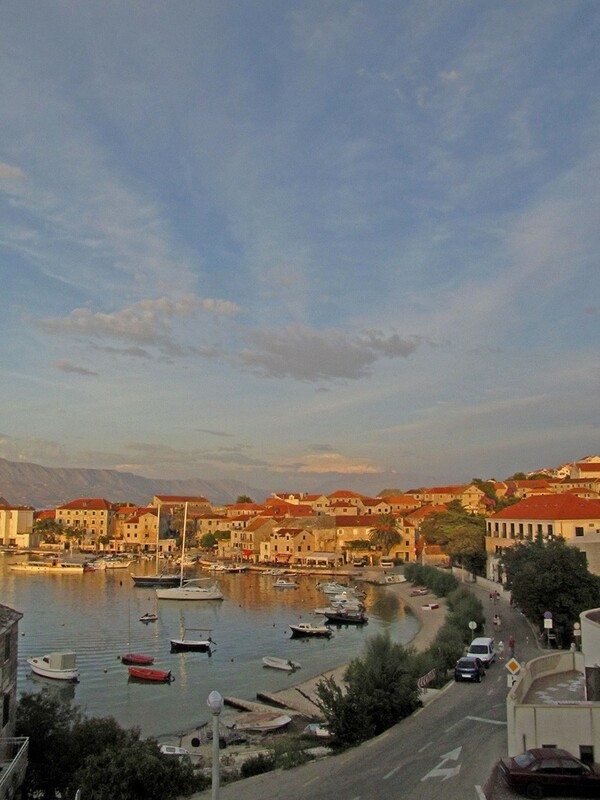 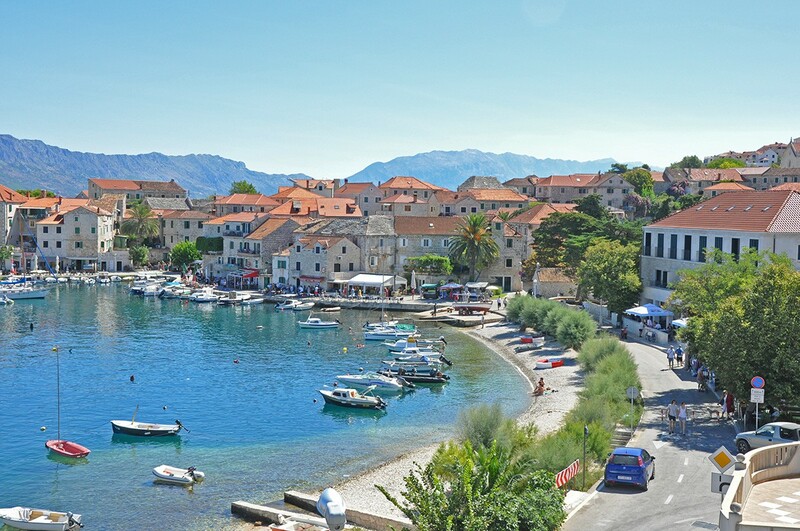 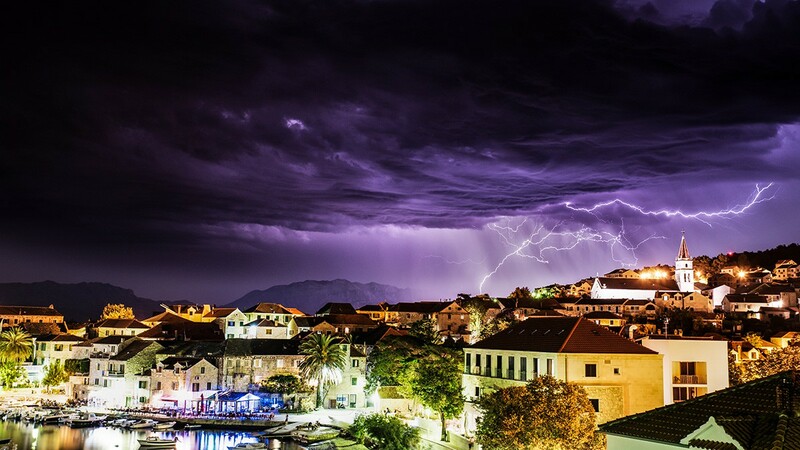 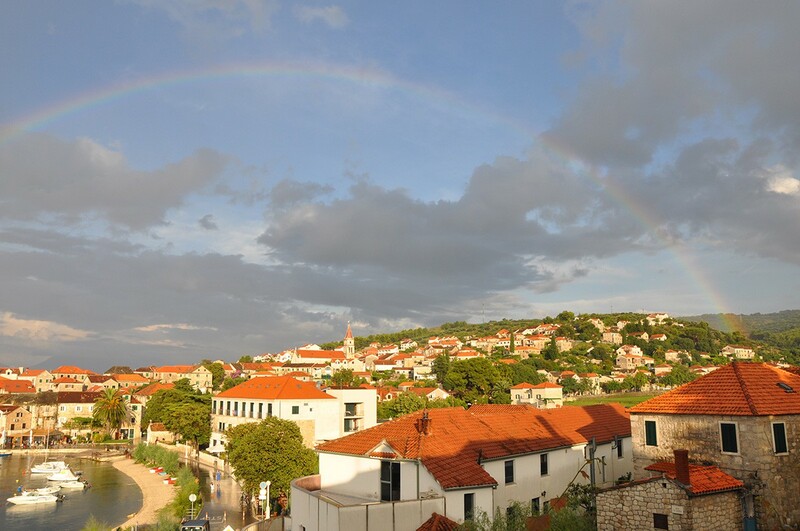 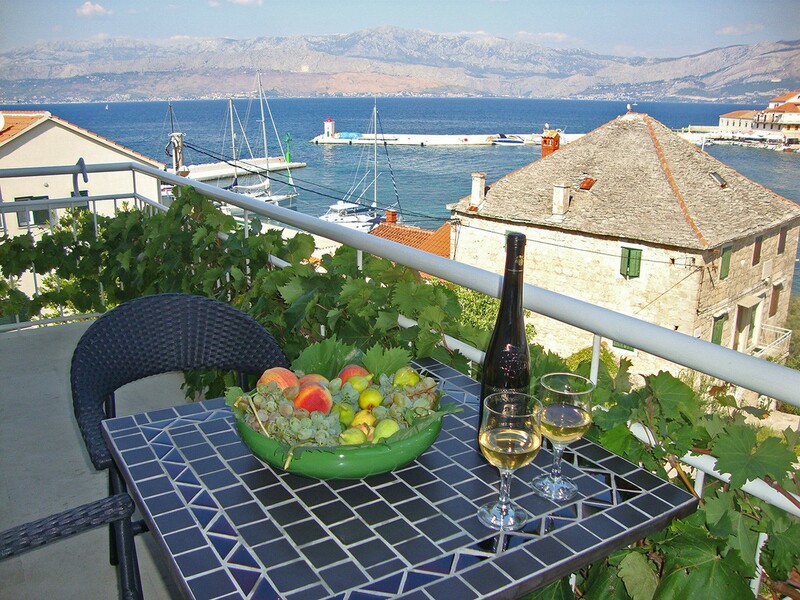 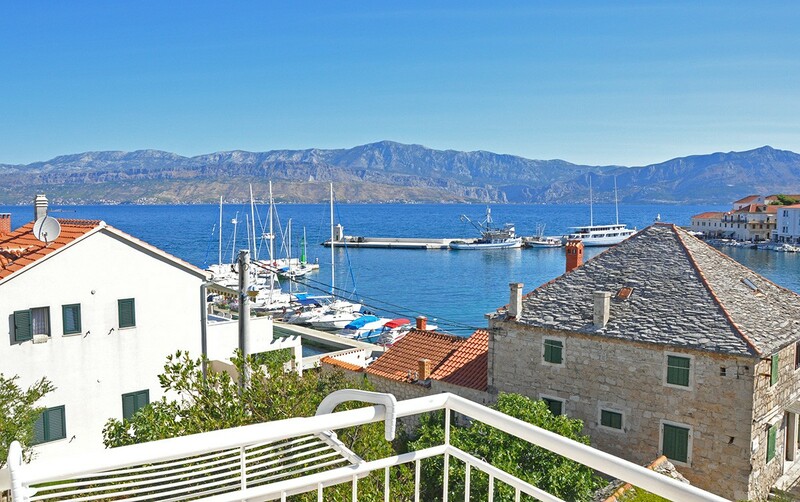 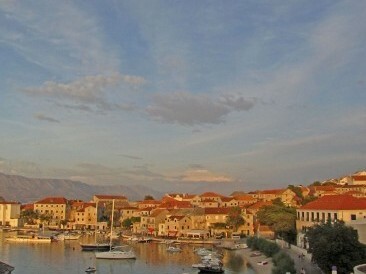 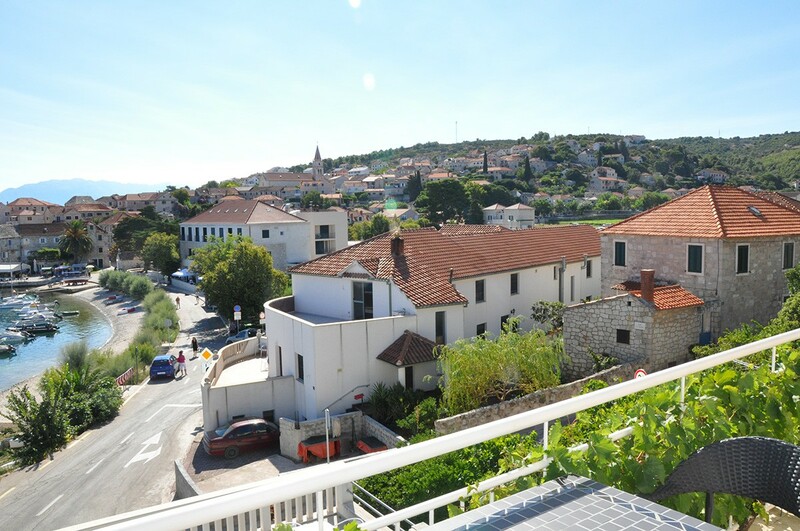 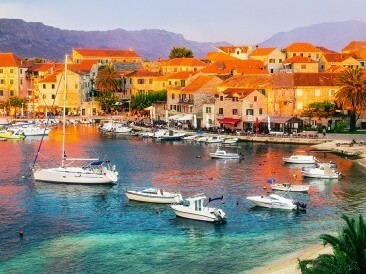 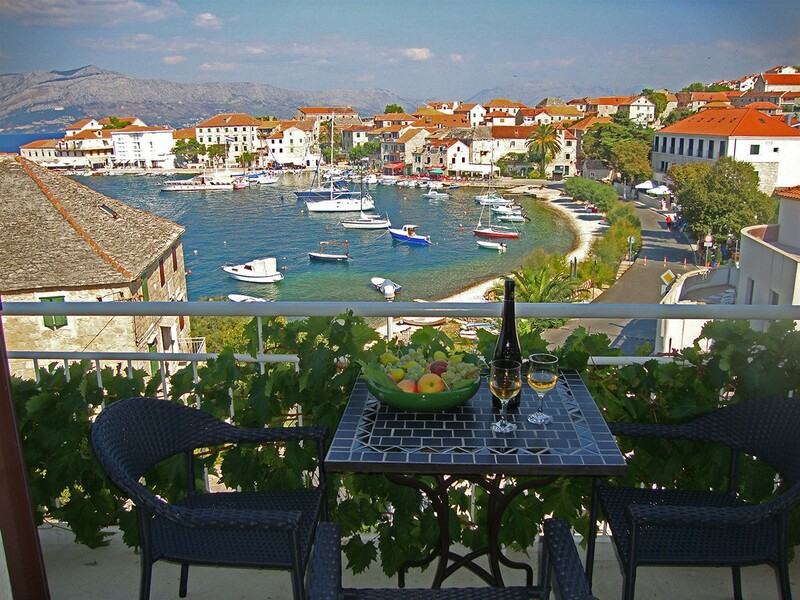 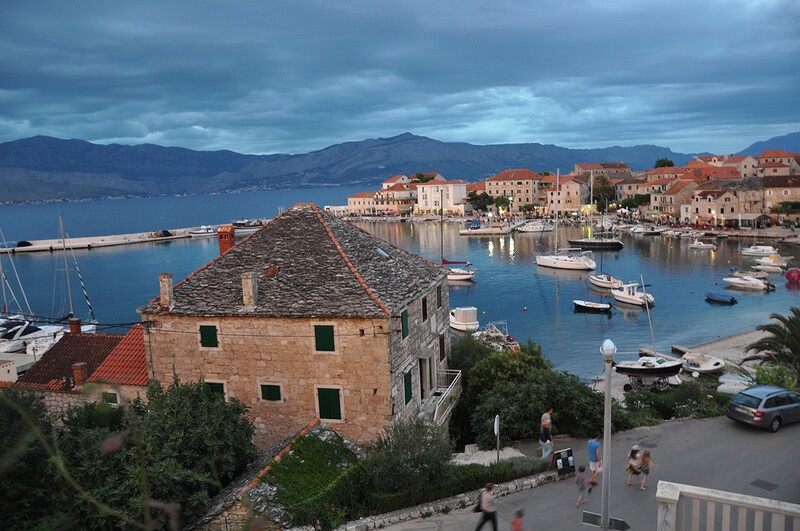 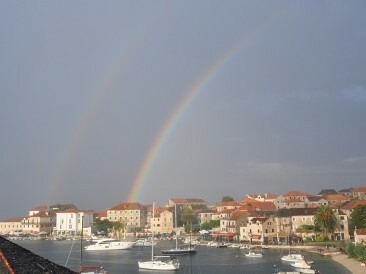 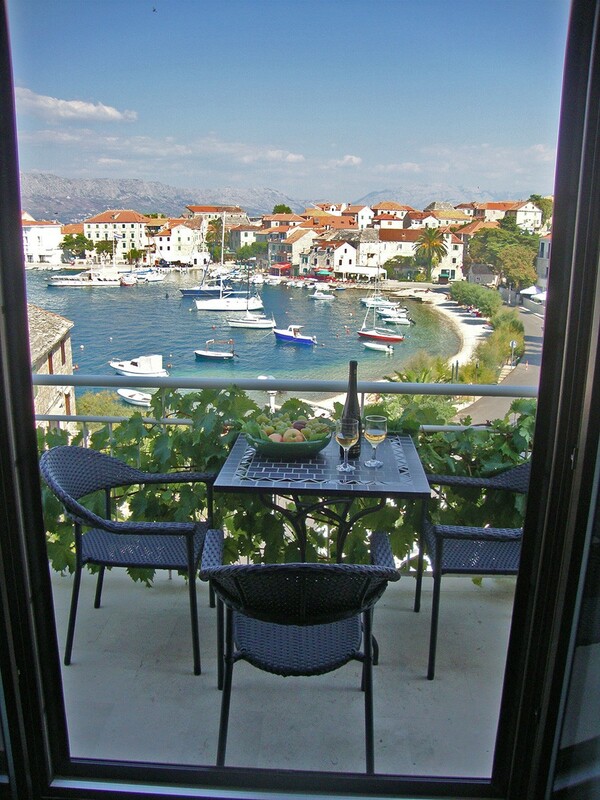 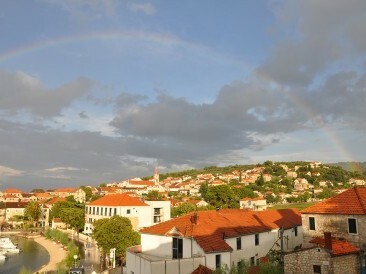 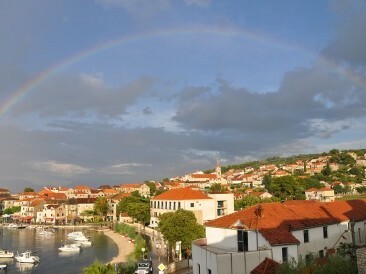 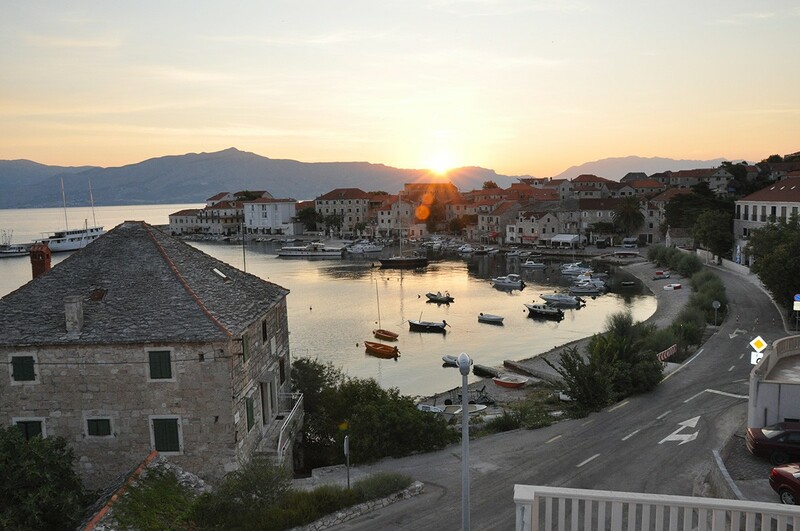 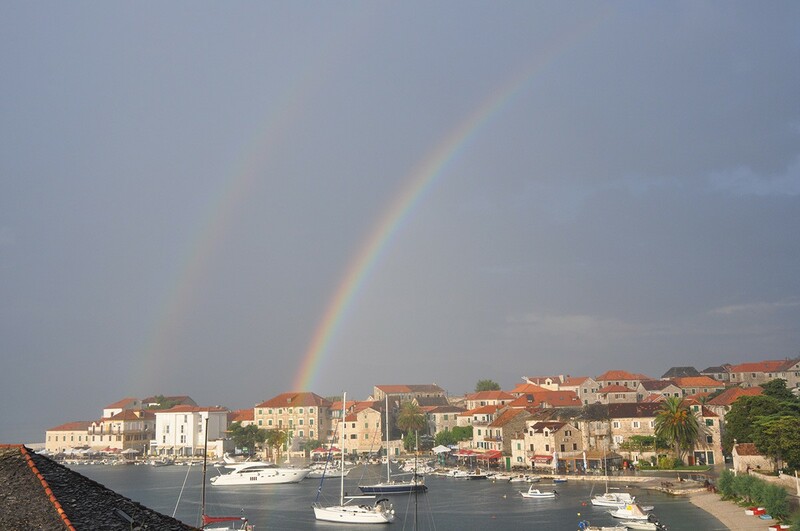 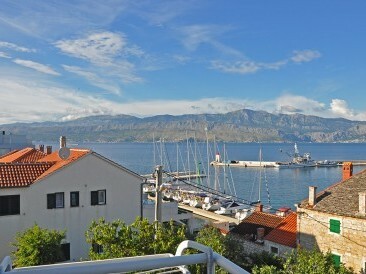 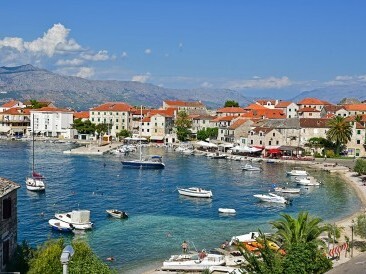 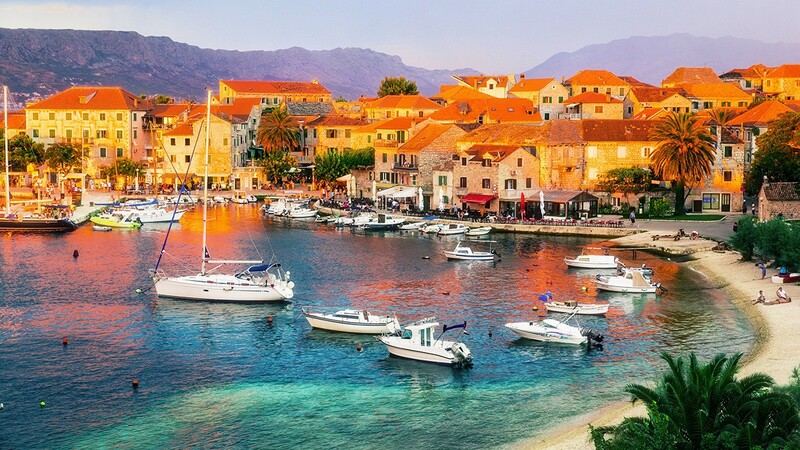 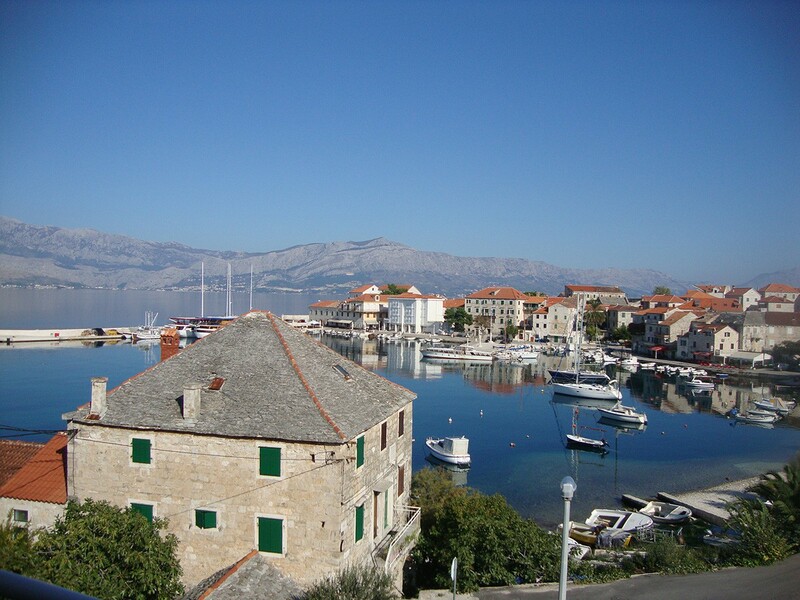 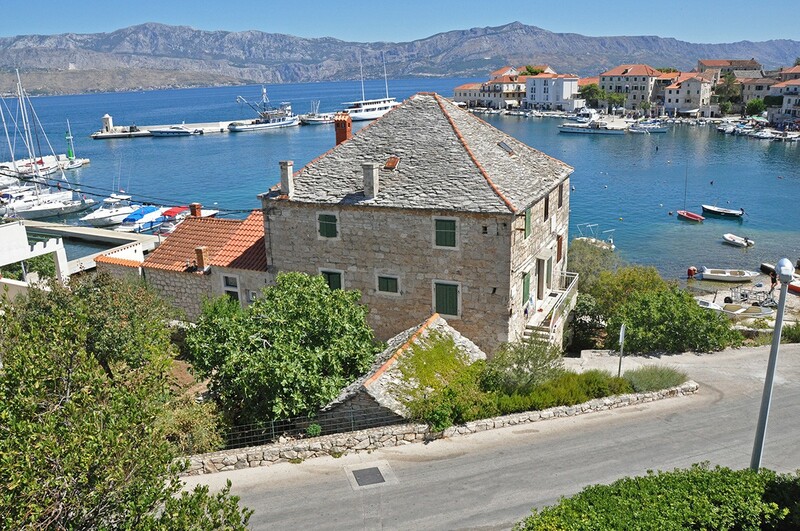 From the balcony there is mervellous view of the Postira's harbour, beach and Brac Channel. 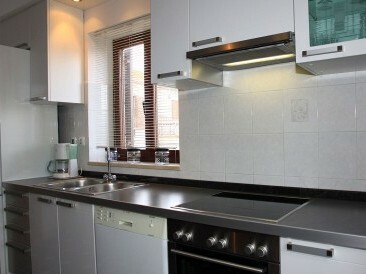 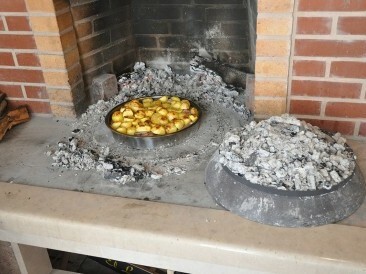 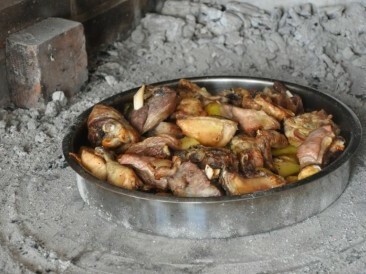 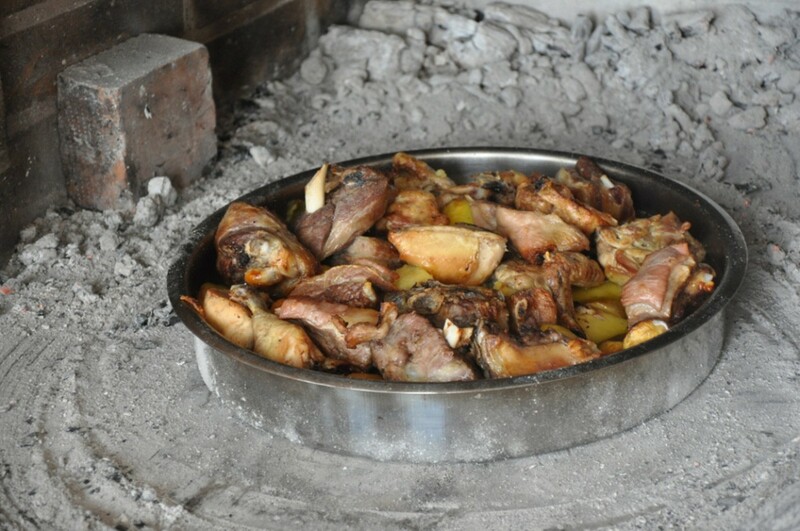 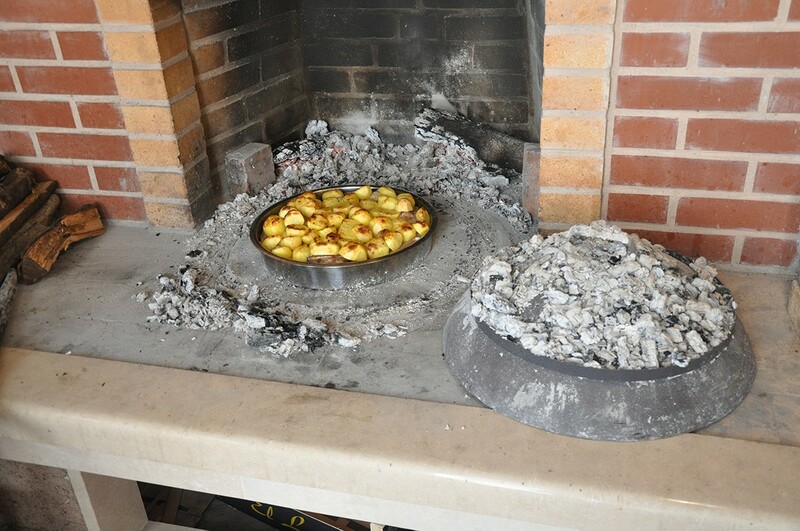 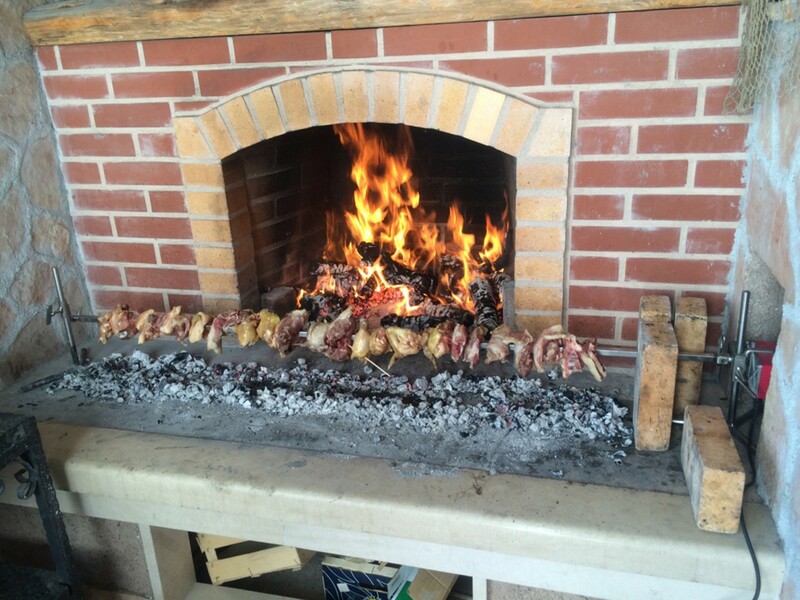 The grill in our house complex is free of charge and is at your disposal too. 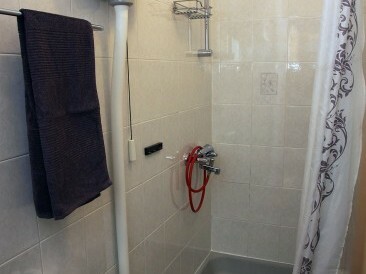 Using of private garage according special arrangement. 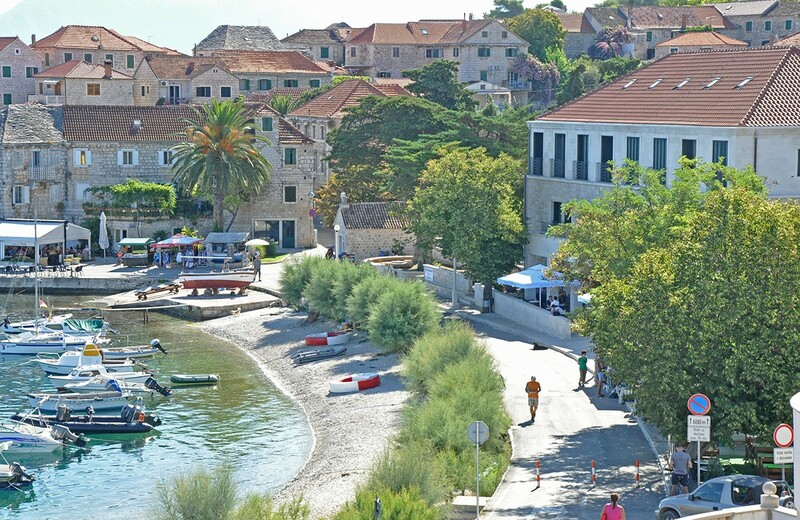 For our dear guests, our garage is free of charge during April, May, June, September and October for storing your bicycles, kayaks, canoes, SUPs, mopeds, motorbikes etc. 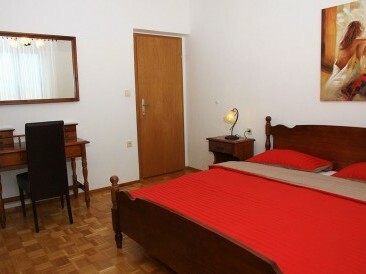 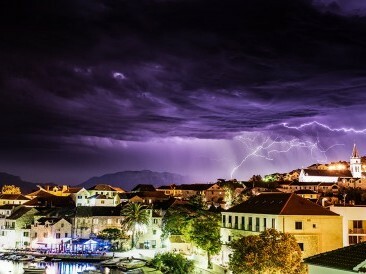 For the stay less than 4 days the price is increased 30%. 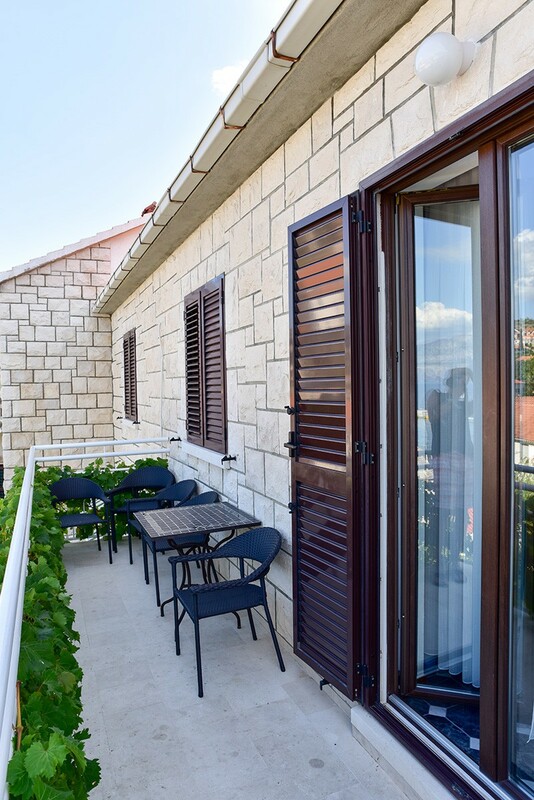 Smoking is allowed on the balcony.